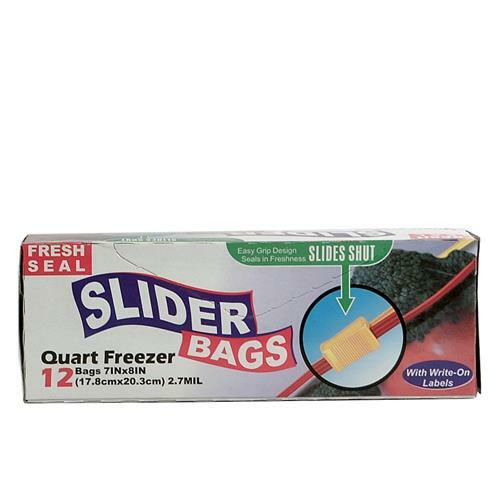 Fresh Seal Quart Slider Freezer and Storage Bags are perfect for storing food items safely in the freezer. 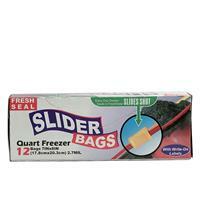 Resealable zipper-style seal is easy to open and close and still keeps cold food safer and fresher for longer. There are 12 bags per box and 24 boxes to a case. 9.45" x 9.06" x 14.17"